SILVER SPRING, MD – May 5, 2017 – After a lot of thoughtful consideration and prayer, Tia Mann decides to undergo weight-loss surgery on the next episode The Manns airing Tuesday, May 9 at 8 p.m. ET on TV One. 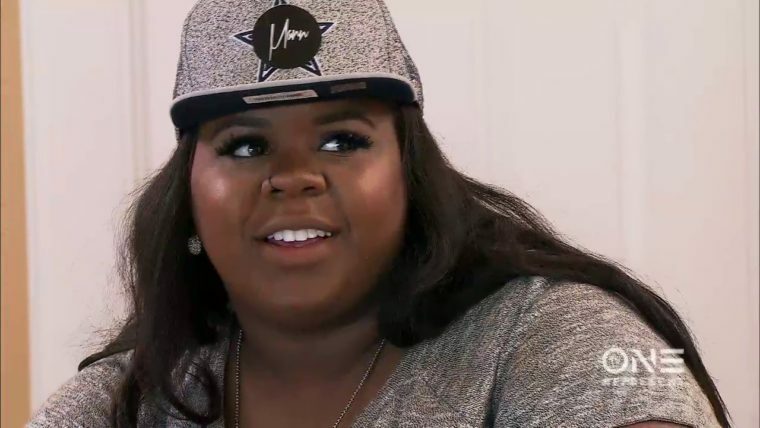 The big day for Tia’s weight-loss surgery finally arrives, but knowing the complications that Tamela experienced during her surgery, the whole family is concerned. Tia, however, remains optimistic despite the potential risks. Herschel is taking on a second job as a handyman, but Sonya is experiencing trust issues at the thought of her husband being around other women. After she secretly goes through Herschel’s phone to contact his client and gets caught, they both decide to seek David and Tamela’s advice to settle the argument. Meanwhile, Tia’s life changing procedure awakens David Jr.’s spirit to take action in his own life by facing his desires to finally get baptized. Tamela and David Sr. attempt to finish their marriage book, but not before further research that causes tension between the two of them. The Manns is produced by TV One in partnership with Entertainment One (eOne) and Bobbcat Films. It is executive produced by David and Tamela Mann, eOne’s Tara Long and Mark Herwick, Roger M. Bobb and Phil Thornton. For TV One, Lamar Chase is executive-in-charge of production, Robyn Greene Arrington is vice president of original programming and production, and D’Angela Proctor is head of original programming and production. For more information on TV One’s The Manns, visit the network’s YouTube Channel and website at www.tvone.tv. Viewers can also join the conversation by connecting via social media on Twitter, Instagram and Facebook (@tvonetv) using the hash tag #THEMANNS.